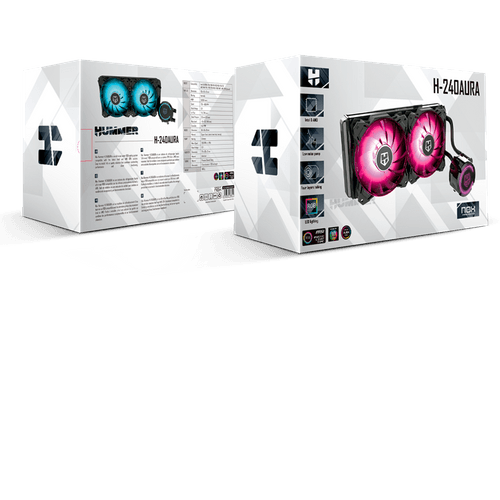 The H-240 Aura is an all-in-one liquid cooling kit, easy to install and optimized for high performance at a low noise level, thanks to its double radiator (274 x 120 x 27mm) and PWM control fans, which efficiently and sustainably lower the temperature of your PC. 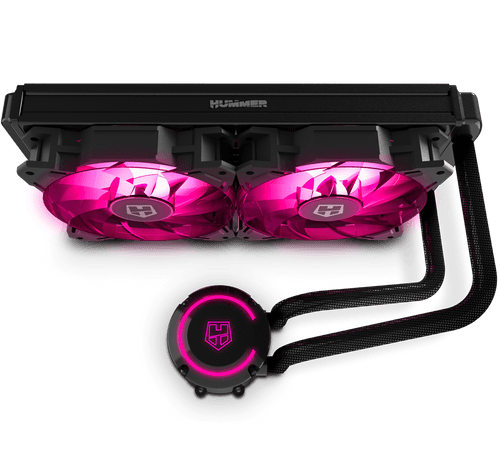 Its 240mm radiator offers greater efficiency in heat exchange and high performance in terms of the cooling of your whole set-up, thanks to its aerodynamic fins which reduce air turbulence between the ventilator and radiator. In addition, thanks to the PWM control, the speed of your fans is automatically adjusted according to the needs of the microprocessor, being capable of reaching up to 1800 RPM, and therefore guaranteeing optimal operation. 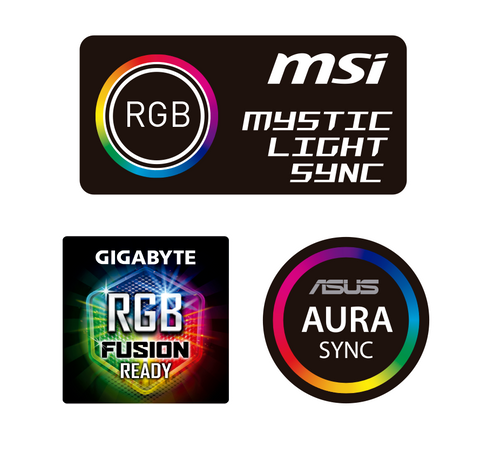 The H-240 Aura has an RGB LED lighting system of up to 7 colors with several customization options that allow you to create different atmospheres and synchronize them with the colors of the rest of the PC, thanks to its compatibility with the synchronization technologies of benchmark motherboard manufacturers such as Asus Aura Sync, Gigabyte RGB Fusion, MSI Mystic Light Sync and Asrock RGB Led. Its design is intended to give you multiple options in the setting up of your computer thanks to its braided tubes, which avoid problems with kinking when you don't have much space. 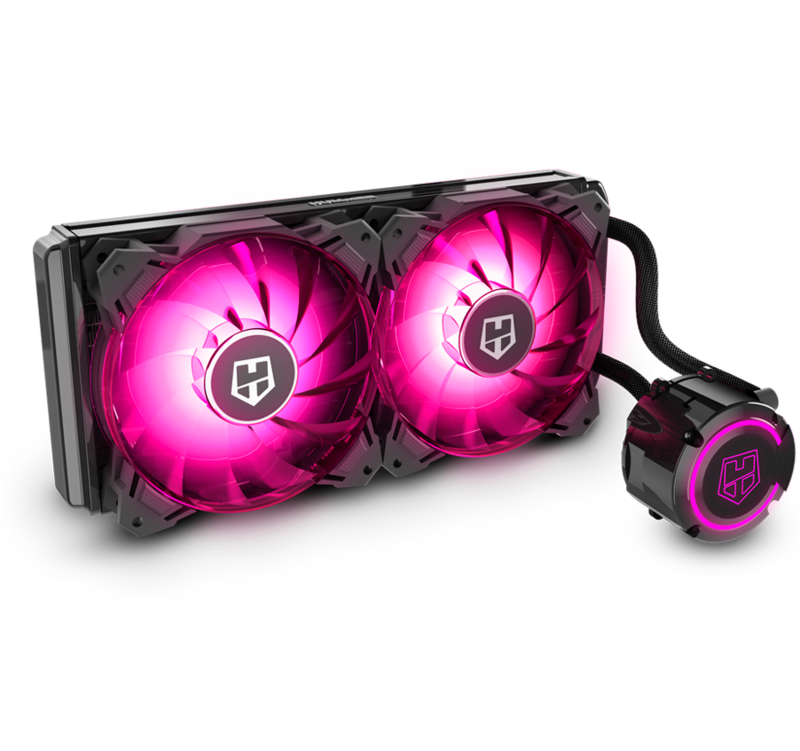 In addition, to give maximum stability to your computer, the fan is equipped with 4 rubber anti-vibration pads to prevent annoying noises generated by vibrations. 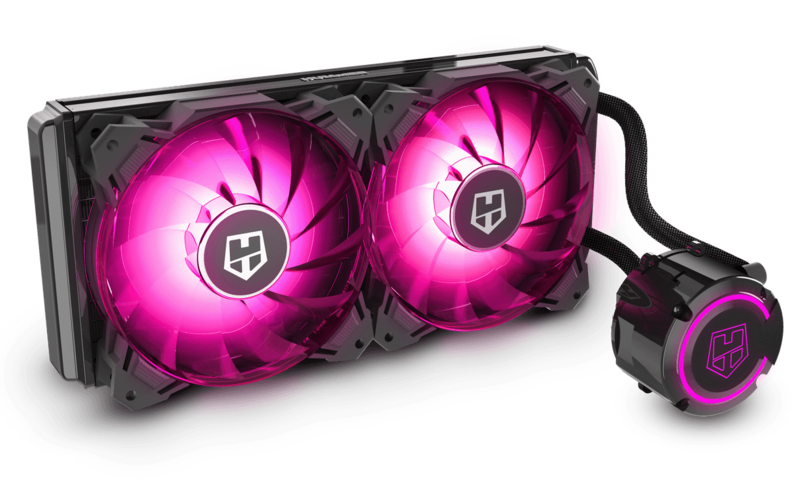 The H-240 Aura has a pump capable of moving a high volume of coolant (2300 RPM), instantly reducing the temperature of the processor. Besides this, the copper base provides a high conductivity that, together with the high density of the radiator fins, guarantees us a greater heat dissipation, and therefore, a continuous flow of air inside of your PC. The H-240 Aura tool-free assembly system is compatible with Intel and AMD sockets. Double radiator with aluminum base. 120 mm fans with PWM control.